Last updated 26 September 2018 . By Ed Christmas. Beer, burgers... and all things deep fried? It's safe to say that I have a mild obsession with them all. 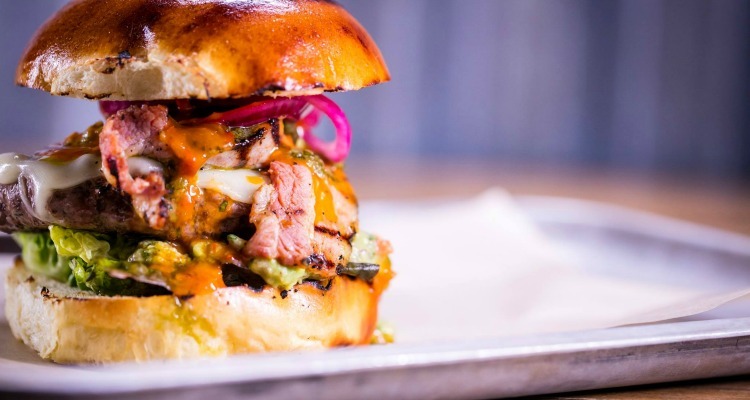 So when I discovered Lazybones, a burger and slow-cooked meat restaurant within a stone’s throw of Farringdon station, I knew it was my duty to give a verdict for all you burger lovers out there. As soon as we arrived, I noticed that my spirit animal had been strewn across the walls. 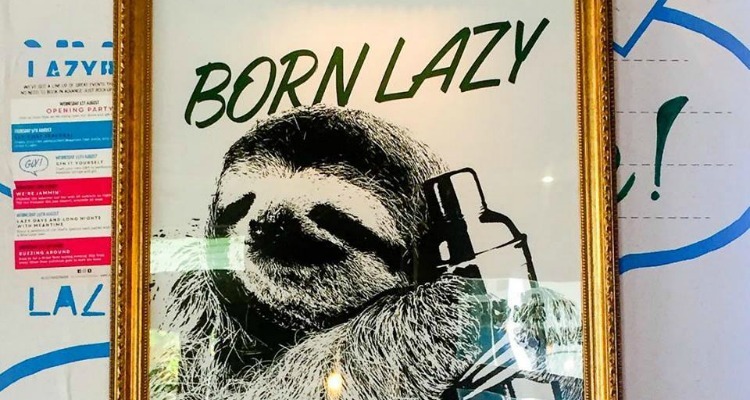 Depicted holding on to beer cans and cocktails mixers, images of sloths are all about the place (fitting for a place called Lazybones). Table service might not be a thing here, but with lively background music and a casual (almost) diner vibe, this seemed a great venue to vent after a bad day at work, or to simply catch up with old friends. Lazybones love sloths almost as much as Kristen Bell does. Having not eaten much all day in preparation for what I anticipated to be a substantial meal, I was not left dissatisfied. Starting with a perfectly sized appetiser of Fried Buttermilk Chicken (£6.25) this crisp dish was paired with just the right heat (a hot chili sauce), going down nicely alongside the uplifting, cucumber bite of the 'Fresh Gin' (£10.90). Another cocktail worth mentioning? The Lazybones’ Deep Cleanse (£9.25). While looking similar to a margarita, this blend of gin and elderflower liqueur felt like a great twist on a classic cocktail; kudos to the bartender. From there we moved onto the main course, a BBQ Beef Brisket Burger (£14,25) with a beef patty, slow-cooked pulled beef brisket, BBQ sauce, bacon and cheese served with a decent side of fries. Bigger than my hand, with more flavours than I could count, it was little touches such as the perfectly pulled brisket and the silken guacamole that made this burger slide down with ease. Too thirsty to slow down, I paired the patty with a pint of one of their Meantime Lagers (£5.40); a classic combination and loved by most burger lovers... almost as much as Theresa May enjoys running through wheat fields. The burgers are huge, along with the flavour. Despite almost every fibre in my body telling me I was full, we couldn’t resist sharing a dessert: the Chocolate Brownie Ice Cream Sundae. Propped on the table in a tall glass (as all sundaes should), this blend of rich, warm brownie and classic vanilla ice cream won't be winning any coveted dessert awards, but i'm a sucker for a brownie, and this number could really do no wrong. Lazybones might be geared to the fast-casual crowd (it's a hell of a fun spot for large groups and colleagues alike), but that doesn't mean that they haven't made some excellent additions to their burgers, and laid smart emphasis on the slow-cooked part. If you like big buns, you know where to come for your next treat. Collins Account Manager. Christmas is my name, wine is my religion.